The older your child gets, the harder it is to pick toys that she will learn from and love at the same time. When she reaches the age of 7, she will begin primary school and her preferences will gradually change. For instance, even if she loved to play with dolls and dress up when she was younger, she may not want to anymore. That is why finding the perfect gift for a 7-year-old is quite tricky. 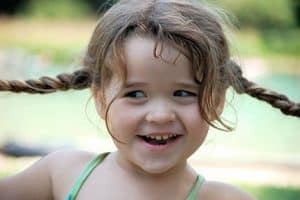 To ensure that you’re getting her the right kinds of toys, it is recommended that you first take a look at the developmental milestones you should expect from your 7-year-old. If you know the relevant skills and milestones for this age, it will be easier for you to choose. Naturally, this is easier said than done, and that is why we have come up with a list that will help guide your choice. When girls reach the 7-year mark, they are already aware of their emotions and are more conscious about their thoughts and feelings. Mattel’s Password Journal is a great gift for them because it encourages them to keep a record of memories and reflect about what happened during the day. Self-expression is a very important part of childhood, and this is the perfect tool for keeping all of her secrets and memories safe. What's Great About It: This is not your ordinary diary, because it comes with layers of protection that keep your child’s secrets safe. Aside from the freedom to choose their own password, there’s also a voice recognition lock, invisible ink, and a hidden compartment for those extra special mementos. Mattel knows that it’s not just thoughts and reflections that little girls need to capture and keep. There are also keepsakes and mementos that are valuable for 7-year-olds, and what this Keepsake Box does is keep all of those treasures safe. With a secret compartment and 6 memory keys that go with color-coded stickers to tag mementos with, keeping track of keepsakes has never been easier. What's Great About It: The idea of putting away keepsakes in a safe place is something that teaches little girls the value of memories. 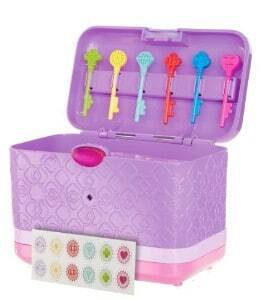 Also, the box comes with an electronic password that can be easily set, so her memories are kept safe. By this age your little girl will already have many accessories and jewelry pieces that may be lying around her room. This Ballerina Treasure Box by Enchantmints is the perfect gift because it will give her a safe place to put all of that. 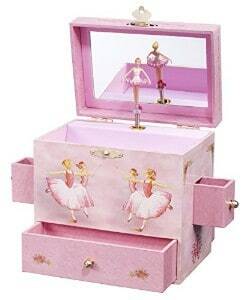 Aside from 2 side drawers and a big bottom drawer for bigger trinkets, this box also comes with a beautiful ballerina at the top– perfect for girly girls. What's Great About It: The compartments are perfectly sized to house various trinkets, but one of the best features is the ballerina and Swan Lake music. 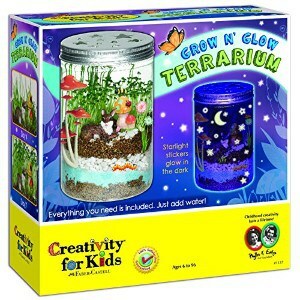 Your little girl can make her own ecosystem with this Grow ‘n Glow Terrarium by Creativity for Kids. This complete kit teaches her a number of things – from the way biology works to the importance of building and caring for something from scratch. Aside from being educational, this set also inspires the creativity in her and teaches her the value and importance of ownership and accountability. What's Great About It: It's complete with everything your child needs to build and maintain her own terrarium. It also includes 45 glow-in-the-dark stickers that allow her to appreciate this set at night. 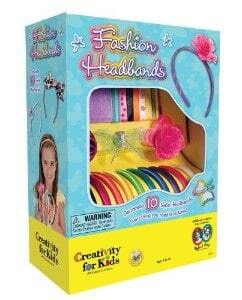 Another great way to boost your child’s creativity is through Fashion Headbands from Creativity for Kids. This set will give your 7-year-old ten colorful headbands to design by herself, and she can do that by working with the fashionable kit that the headbands come with. The variety of materials that she gets to work with ensures that the headbands are each unique, and really suited to her personality. What's Great About It: This kit has everything your fashion-loving 7-year-old can ask for in terms of designing her own headband – from feathers and rhinestones to bows and flowers. 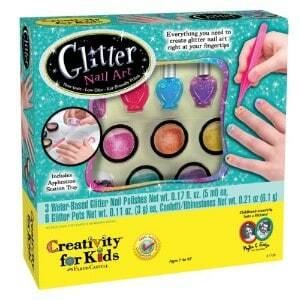 It teaches your child creativity as well as self-expression. 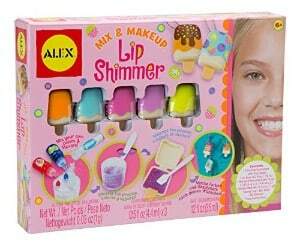 Why buy lip gloss for your 7-year-old when she can make it herself with the Spa Fun Mix and Make Up Lip Shimmer by ALEX Toys. This kit takes makeup to a whole new level because your daughter can make it all herself. She gets to work with 5 fun ice pop containers, lip shimmer base, and 3 bottles of flavor drops with their own different colors. Once she’s done making her lip gloss, she can take it everywhere she goes with the key chains. What's Great About It: With this kit you get professional-grade ingredients, so the end product really works as a lip shimmer. More than that, the formula has been tested to be safe for children. Your 7-year-old will be learning a lot in school, and because of this she will love to experiment with all sorts of things. 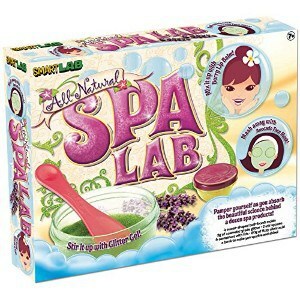 This All Natural Spa Lab by SmartLab Toys is the perfect kit to give her, because it allows her to create her very own spa treatments from scratch. It includes an informative book that gives her several easily understandable instructions, as well as all the ingredients and tools she will need. What's Great About It: This product is tested for both performance and quality, so your little one won’t be disappointed with the results. You can also be sure that the materials are safe to work with. It’s never too early to teach your child to quilt, especially if she really shows an interest in arts and crafts from a very young age. 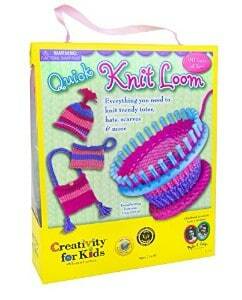 The Quick Knit Loom by Creativity for Kids gives your child 3 knitting needles, 3 skeins (90 yards), a circular loom, a hand loom, and assorted accessories like beads and buttons. This gives her everything she needs to knit all sorts of creations, from a beanie to a clutch bag. What's Great About It: This kit is really easy to work with so it’s perfect for your 7-year-old, and doesn’t require the skills you need to master for traditional knitting or crocheting. It also makes her realize the value of creating something with her own two hands and making her own design choices. 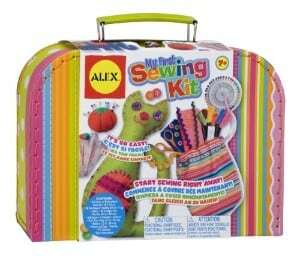 If you want your little girl to know the wonderful world of sewing and crafts, then this Craft My First Sewing Kit by ALEX Toys is the perfect place to start. With this kit, she will have everything she needs to get started. Aside from teaching her the skill of sewing, this set will further improve her hand-eye coordination, creativity, and patience in learning and mastering something new. What's Great About It: The variety that you get with the materials in this sewing kit are remarkable. Aside from the actual tools, like a measuring tape, needles, and thimble, that are+ found in normal sewing kits, your 7-year-old also gets embroidery floss, 28 felt shapes, a pom pom strip, buttons, and much more. 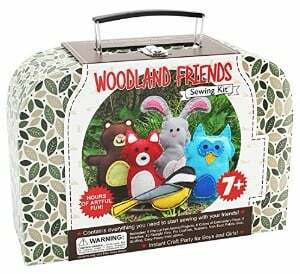 Crafter’s Sewing Kits has its own Woodland Animals starter kit, and it’s perfect for your 7-year-old. With this kit, she can come up with all sorts of sewing and crafts projects. But what’s unique about this one is that it has pre-cut animal figure sewing projects to work with. She also gets embroidery thread in a variety of colors, fabric glue, stuffing, needles, and all kinds of materials. What's Great About It: Aside from having all the materials that she need, this set also comes with a complete, easy-to-follow instruction manual to guide your little girl every step of the way. It also has a portable carrying box to store everything in and make it easy to move. Glitter Nail Art by Creativity for Kids will help your 7-year-old come up with her own nail polish art, complete with everything what will set her creativity on fire. It includes an application station, an emery board, shimmering nail polish, and basically all the materials your little girl will need to dress up her nails and express her personal artistry. What's Great About It: The nail polish is completely non-toxic, low odor, and water-based, so it’s ideal for your 7-year-old princess. While the kit gives her a lot of creative freedom in expressing herself through glitter art, it also comes with an instruction manual that she can use for reference. As children reach the age of 7, they become more detailed in their drawings and art. 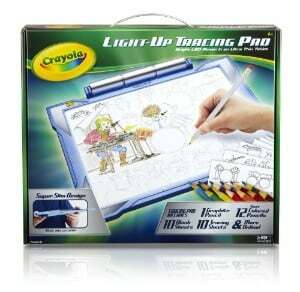 If you have a little artist, then this Light Up Tracing Pad by Crayola is the perfect gift to give her. With 10 tracing sheets, 10 blank sheets, 12 colored pencils, 1 pencil, and a backlit tracing pad that has a paper-locking frame, she will have everything she’ll ever need to master the art of drawing and tracing. What's Great About It: This well-made kit gives her the tools to create wonders, but to begin with, she can work with over 100 images that include various scenes. LEGO has come up with some of the best building toys, and this LEGO Friends Jungle Rescue Base is no exception. LEGO has other jungle sets but this is one of the most detailed and well thought out. Your 7-year-old gets 473 pieces to assemble, including a mobile medical station, a raft boat, a surveillance platform, living quarters, jungle animals including a chameleon and a panda, and Andrea and Stephanie mini figures. What's Great About It: Aside from being a great building toy that boosts your child’s problem solving skills and creativity, the finished set is something that she will be proud of, given that she made it herself. This set's also great for imaginative play, and can be used together with other jungle sets from LEGO. LEGO gives children the ability to create their own wonderful worlds with their own two hands. With this set, your 7-year-old can build her own Disney Princess Elsa’s Sparkling Ice Castle and recreate the magical world that Frozen brought to life. 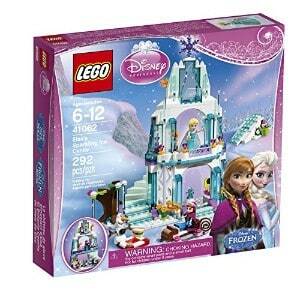 This set comes complete with Elsa and Anna mini figures, as well as the adorable snowman Olaf. But naturally, the highlight is the actual castle, with its secret staircase, glittery walls, and ice structures. What's Great About It: Your 7-year-old will enjoy working with the 292 pieces to recreate this Frozen magic, and it will challenge her sufficiently but not give her too much of a hard time. The finished product is superb, and the detailed castle that you get is quite impressive. 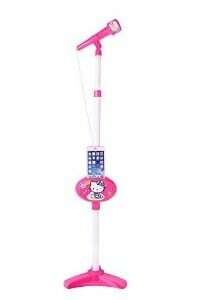 Your little performer will definitely appreciate her own Hello Kitty Microphone with Stand, because she can sing and perform with it all she wants. This microphone stand set allows your little one to sing to her heart’s content, complete with music lights that will truly make her feel like a diva. What's Great About It: To start with, you get 2 demo songs in the rock music genre. This can be connected to your iPod and MP3 player so sky’s the limit when it comes to the songs that your little one can perform to. The Girl’s Rink Skates by Chicago Skates are ideal for your 7-year-old girl, especially if she’s relatively new to skating. 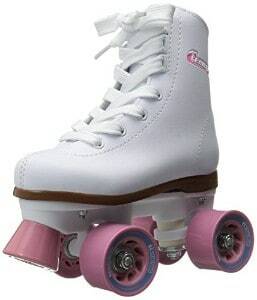 Each skate has four wide urethane wheels to give maximum support to those who are just learning, as well as a white vinyl high top boot and easy lace-up front for a more secure fit. These are also designed with a sturdy aluminum base and semi-precision bearings so that your little girl can roll smoothly and achieve perfect control over her movements. What's Great About It: These skates are designed for maximum fun and enjoyment, and beginners or those who just learned how to skate can enjoy these skates. A Kick Scooter by Razor ensures that your little girl can go on all the adventures she wants to go on, whether it’s in your backyard, around the neighborhood, or the park. Designed for regular use and featuring a patented folding mechanism, your little girl can bring this scooter anywhere and explore as many places as she wants. 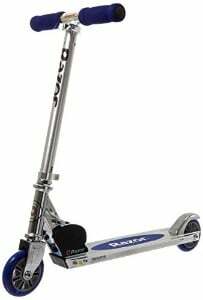 What's Great About It: This scooter is made from sturdy, aircraft-grade aluminum as well as 125 mm inline-style urethane wheels complete with a springless shock absorbing system. This not only ensures a smooth ride but a safe ride as well. Your 7 year old girl will need her own backpack to place all her toys and belongings in, and this Zoo Pack from Skip Hop is the perfect option. This pack comes in a variety of designs, so you can choose the bag that best suites your daughter's personality. What's Great About It: This has all the compartments a 7-year-old will need – from a roomy storage compartment and bottle pocket with mesh, to an insulated pouch for snacks or trinkets. Monster High fans will definitely love this Travel Scaris Convertible Vehicle, which is a great addition to any Monster High collection. This car’s ideal if your 7-year-old already has a collection of Monster High dolls, but even if she doesn’t, the vehicle is great because it comes with all sorts of fun accessories as well as a Parisian theme that makes it stylish and chic. What's Great About It: The intricate details in this convertible are wonderful to behold, because they’re really unique and beautiful to look at. 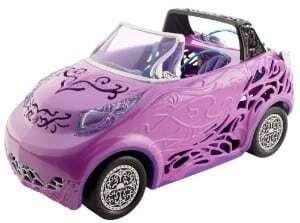 Even you don’t usually associate little girls with wheels, this car bridges that gap and makes it fun for girly girls. This is the perfect age to get your 7-year-old her very own watch to help her tell the time. 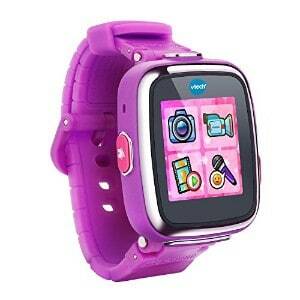 This Kidizoom Smartwatch DX by VTech is the perfect watch to give your daughter, especially because it’s not just a watch and comes with so many other features. Your child can use it to tell the time, set an alarm, stopwatch, and timer, and also to take photos and videos, record her voice, and even work out simple math problems. What's Great About It: The additional technology that your little one gets makes this more than just a watch – it really is a smartwatch that she can enjoy and learn from. When kids turn seven, they will have already mastered their motor skills and have more control over their bodies, so they no longer shy away from physical activities. They are more confident if you put them on scooters or skates, and they’re also more competitive when they play sports. They’re more coordinated when it comes to activities, and tend to hurt themselves less while playing. It’s also important to note that at this stage, children already tend to have preferences for their own learning style. This means that while some children like learning independently by themselves, others would prefer working with their peers with more hands-on activities. In the same way, you also need to take into consideration that by this time, they already have very clear preferences in terms of what sparks their interest. One seven-year-old girl may love playing with fashion accessories and dolls, while another could totally hate that sort of thing. A good thing about children when they reach this age is that they take direction really well. By now they’re used to having a figure of authority telling them what’s right and wrong, as well as having to follow all sorts of rules. Because they’re used to this type of environment, they tend to be more patient than when they were younger, are able to wait for their turn during activities, and you can even talk to them as if they were adults. They’re also more hands-on when you give them certain responsibilities or a project that they can work on. That said, you should also be aware that even if 7-year-olds have a better sense of their self-identity, this is also a time when their self-esteem is quite fragile. This means you need to really engage them, encourage them, and give them positive feedback as much as you can. With your 7-year-old being fully immersed in school, we didn’t focus too much on the intellectual toys that teach them the lessons that they need, because they have their teachers for that. Instead, we focused on the other aspects of your child’s development – social, emotional, creative, and psychomotor. First we made sure the list contained toys that would help them keep a record of their memories and hide their important mementos somewhere safe, and that’s what the first 3 toys are about. We then focused on toys and gifts that really bring their creativity to a whole new level, challenging them to think outside the box and really get their hands busy creating something beautiful. We also included toys that tap into their love for music and sense of adventure, among others. Aside from ensuring that it’s appropriate for your 7-year-old developmentally, we also took a look at the credibility and reputation of the toy maker, as well as the feedback that other users have given not just with the toy but with other products of the maker. It was also critical to look at the safety, durability, and design of the toys – to ensure that we come up with a list that only contains the best of the best. We recognize that finding the perfect toy to gift your 7-year-old can be a little daunting, but that’s precisely why we came up with this list. We have narrowed down these toys using a set of criteria that’s valid and relevant, so you can really benefit from this list.